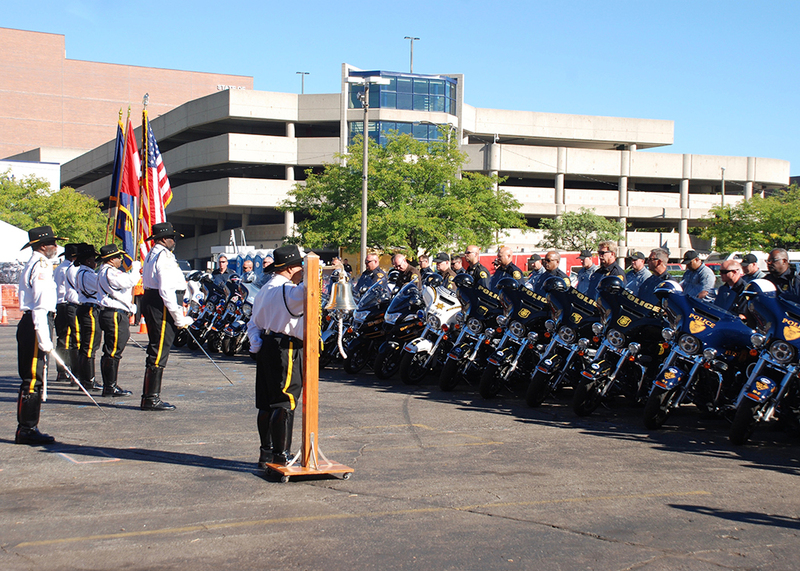 On September 10th & 11th, our staff ventured out to the fantastic Bikes on the Bricks in Flint, Michigan! What an incredible event it was. It was very well organized. There were some spectacular activities including the Police Motorcycle Skills competition, the Wall of Death and Globe of Death, and Erik Estrada cruised through the crowd saying hello to everyone. The crowd was amazing, incredibly cool people and gorgeous bikes. The weather on Saturday (9/10) was… sub-optimal to say the least. It rained in spurts and misted for most of the day. 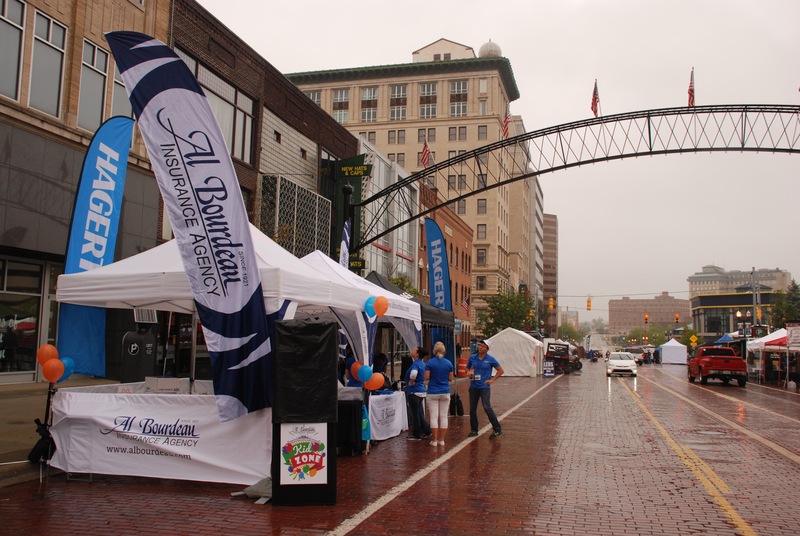 However, this wouldn’t put a damper on our spirits and our intrepid staff forged onward and greeted everyone that stopped by our tent.This year we were joined by Hagerty Insurance and The Flint Children’s Museum, combining our three tents into one ginormous activity center! 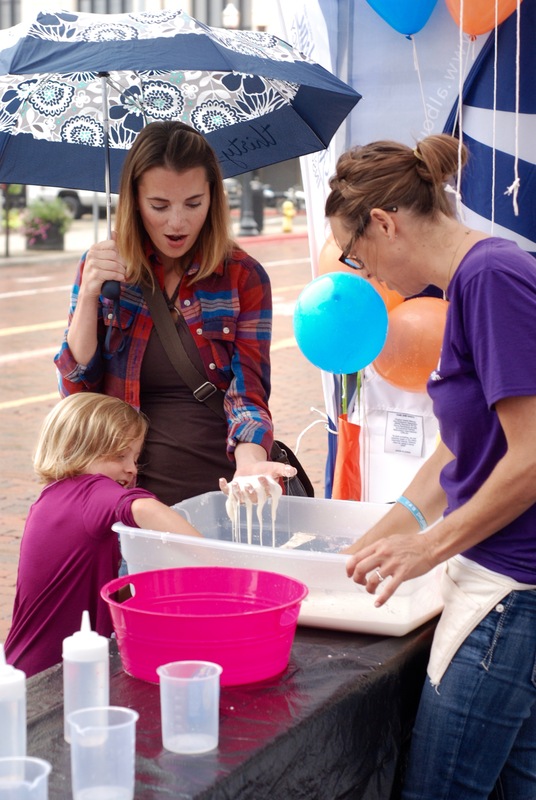 The Flint Children’s Museum showed visiting families how to make Oobleck! 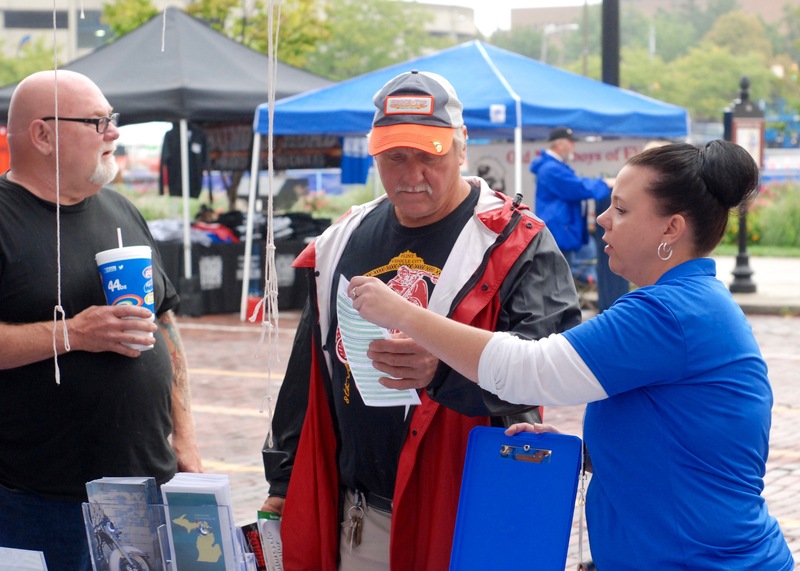 Despite the rain Saturday, we had a lot of wonderful visitors to our tents to grab some balloons, jar openers, goodie bags, and to learn a little more about what we do to help our clients with their personal and business insurance needs. We had a lot of visits from event-goers who are current clients. That’s always a fantastic experience since we don’t see the folks we serve often enough. Many visitors had not worked with us on insurance before and it gave us the chance to start a conversation. Some folks just wanted a balloon, to talk about their motorcycle, or to enter our cool raffle. Any chance for us to say hi and to add some positive energy to someone’s day is a successful moment for us. It’s all good! We invited every visitor to put their name into our raffle, with over 20 fun prizes, and there were hundreds of visitors to our tents! 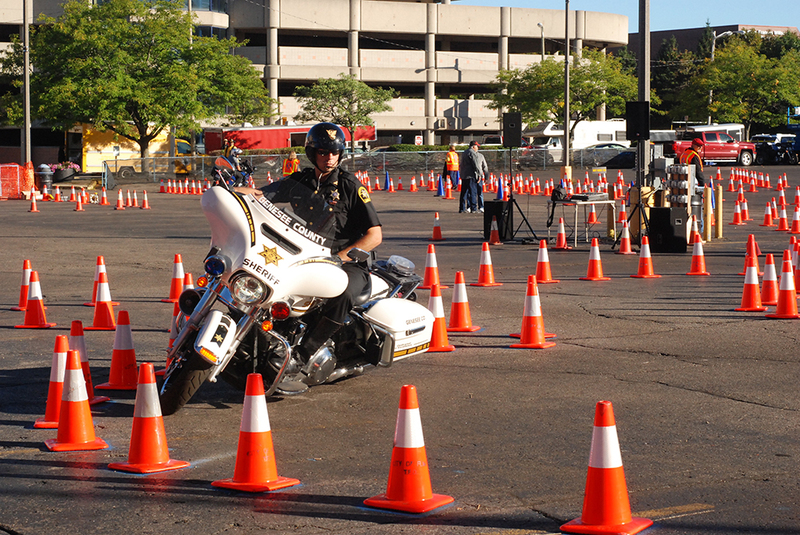 Many of us took time to check out the impressive Police Motorcycle Skills competitions, including the Last Man Standing Preliminary Eliminations for the Law Enforcement Skills competition. 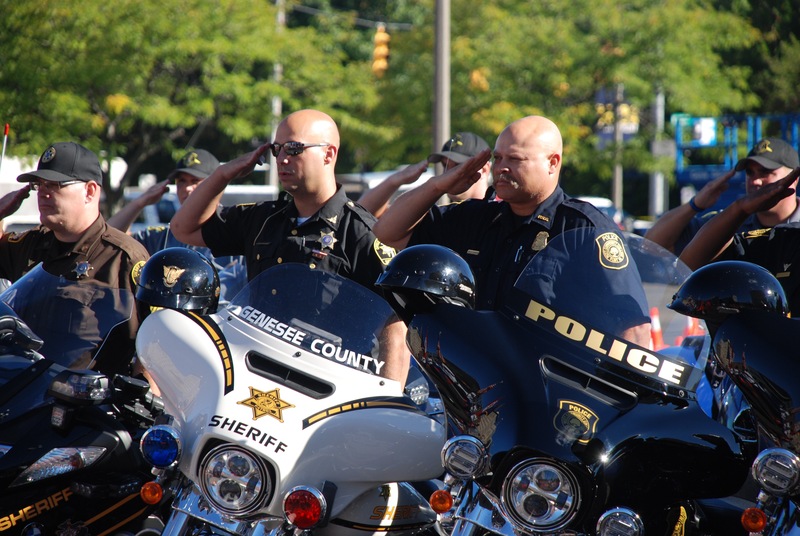 On Sunday, September 11th, we set up again at Bikes on the Bricks and watched with reverence and solemnity as the opening ceremony got underway. Afterward, it was time to get to work! The weather on Sunday (9/11) was a far cry from the previous day, with the sun shining and a gentle breeze swaying our brand new Al Bourdeau Insurance Agency “feather” flags. We doubled down on our efforts to meet visitors, talk insurance, give away bags, balloons, share smiles, and invite more folks to our raffle. There were even more visitors on Sunday, probably over 500, and we hope that our group gave everyone something positive to smile about. To us, the greatest success is to be given the chance to work on how to improve their insurance experience in some way, it’s what we do. I’m sure we talked with well over a thousand folks, old friends and new friends. 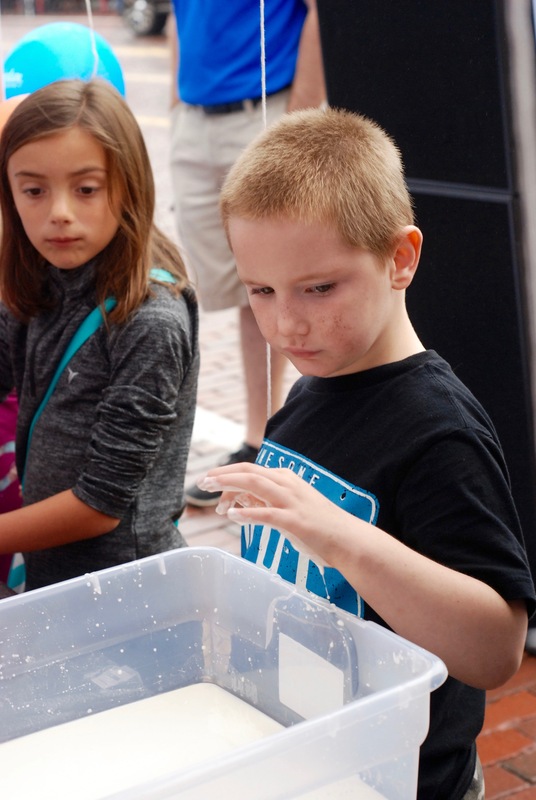 By all measures, our efforts at Bikes on the Bricks were a huge success! Our staff came together and absolutely exemplified the word “teamwork”. 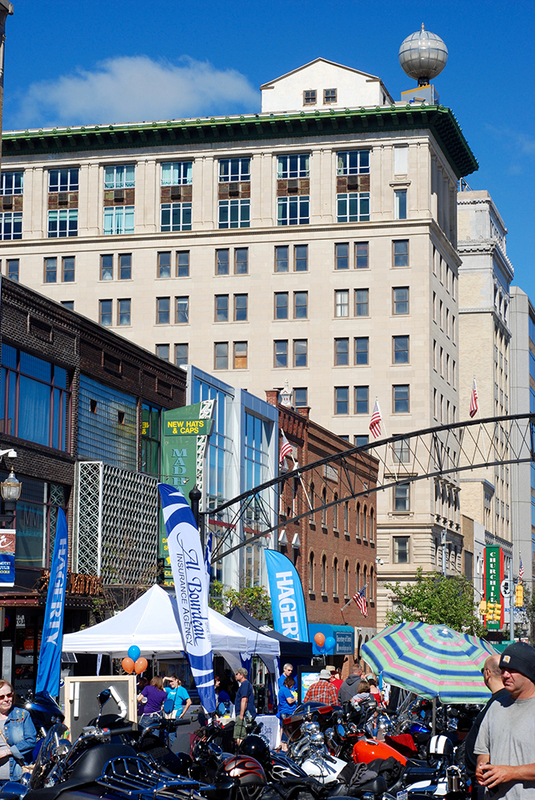 We had an amazing response from the community and had a blast working downtown. 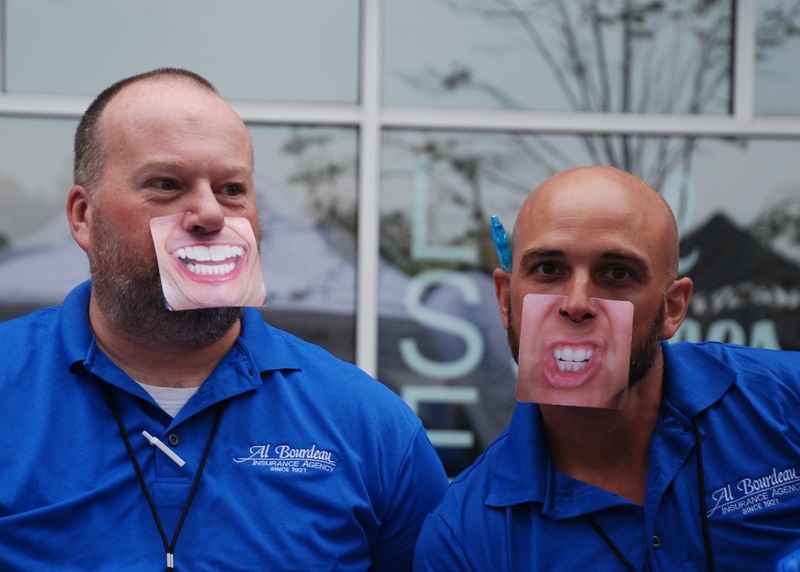 By the end of the weekend, the Al Bourdeau event team was all smiles (well, kind of). I am extremely proud of our event staff and those that worked behind the scenes to help ensure that things went smoothly. If you’ve not yet visited Bikes on the Bricks, you are definitely missing out on a great experience. It’s a must do event for next year! I hope to see you all next year at Bikes on the Bricks 2017! Hi! I'm Jason. 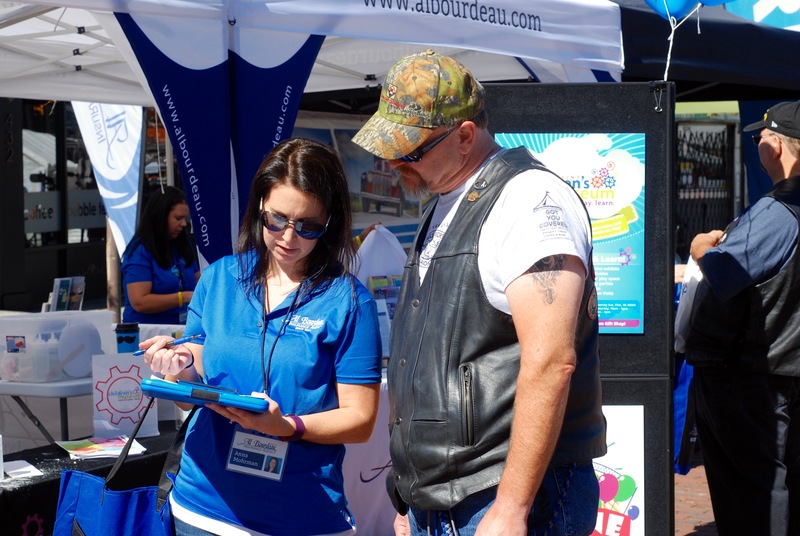 I'm the marketing manager at Al Bourdeau Insurance Agency. I'm also one of our Application Developers and code applications to help our agency and staff do good stuff! Previous Post:I will not be a victim! I hope it doesn’t cost me everything…. Next Post:Is Your Home Properly Insured?